My grandad used to eat pickled walnuts and now I do. We have three walnut trees, a large old one that has been on the campsite for decades and two new ones that we planted. Every year I hope to get some green walnuts and also some ripe ones to eat, and every year I am disappointed as squirrels or something gets them. This year however I was lucky. A small child on the site found some of the green walnuts had fallen to the ground and she collected them in a bucket and asked me if we could feed these little ‘apples’ to the pigs. I asked if we could do a swop and got some real apples for the pigs and scurried away with the walnuts. I checked the old tree and there were still some green ones on the tree. 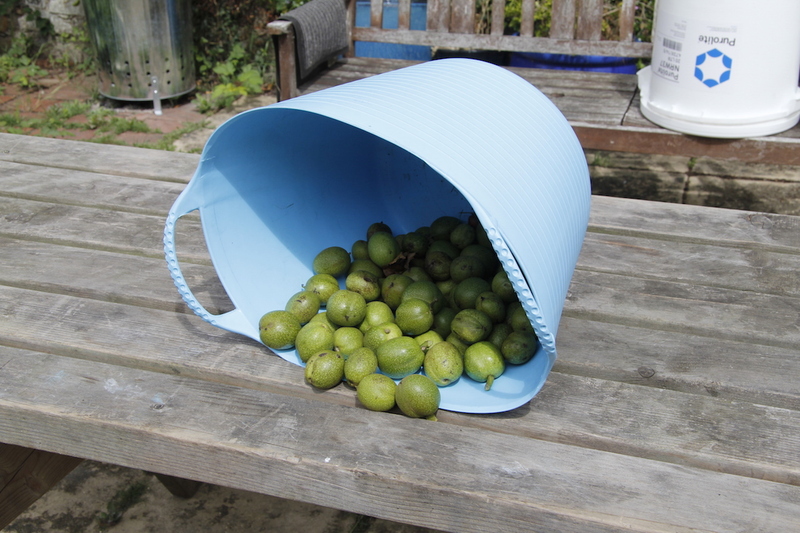 I thought about leaving them in the hope that they would ripen and turn into proper walnuts, but decided not to take the risk of them being purloined – so I collected these too. 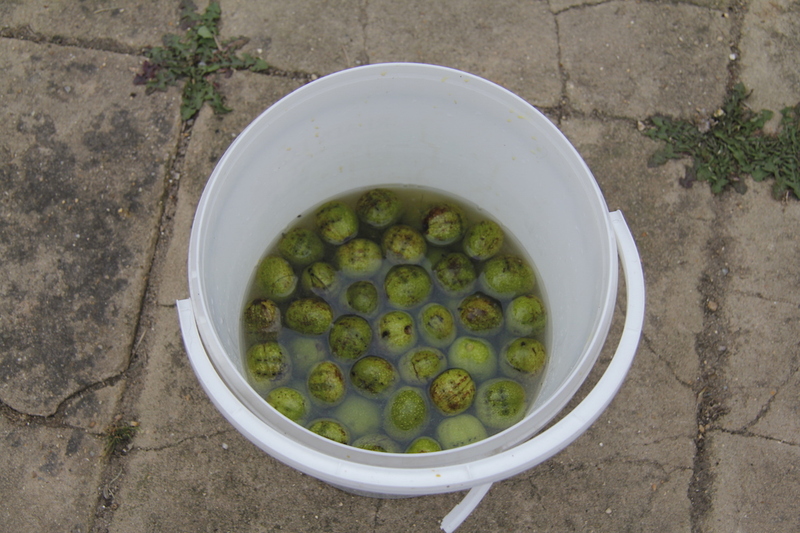 I now had a big bucket of green walnuts and just needed a pickling recipe. I used a recipe from this website – here – it is a really interesting website so take a look. My walnuts were on the edge of being too old as the shell might have started to form inside. I managed to stick a skewer through so I think (hope) they are fine. Pickled Walnuts: green unripe walnuts (50-60); 1/2 cup of salt; 4 litres or so of water; 2 litres of vinegar (I used organic cider vinegar as I bulk buy this from the lovely Rainbow Wholefood Suppliers); 1 tbs of cracked black pepper and cracked allspice berries; 10 cloves; bit of ginger (I used ground ginger, but root would be better); 1 cup of brown sugar. Mix the salt with the water to make a brine. Pierce all the walnuts with a fork once or twice, then put in a bucket and cover with the brine – they should all be covered. Apparently you might want to wear gloves when you pierce the walnuts as the juice can stain your hands. I didn’t bother as my hands are permanently cut and stained with ingrained dirt from gardening. 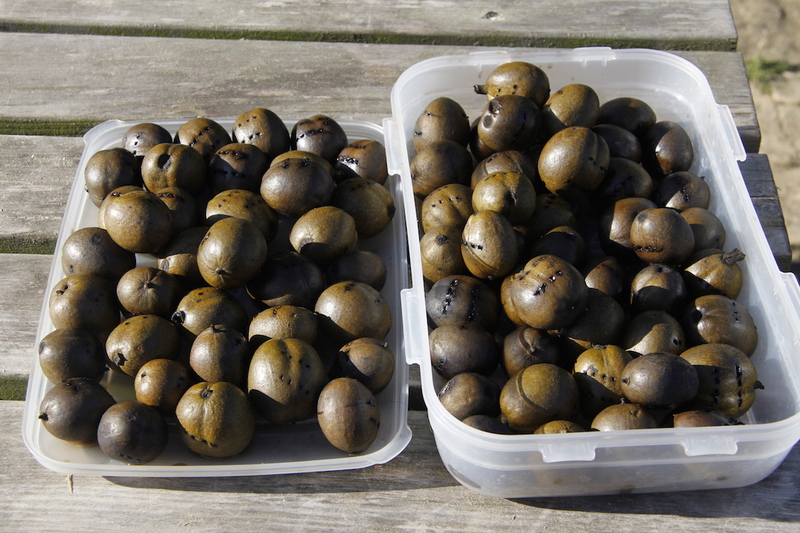 Leave for a week or a little longer, then drain and leave the walnuts for a day in the sun to go black. 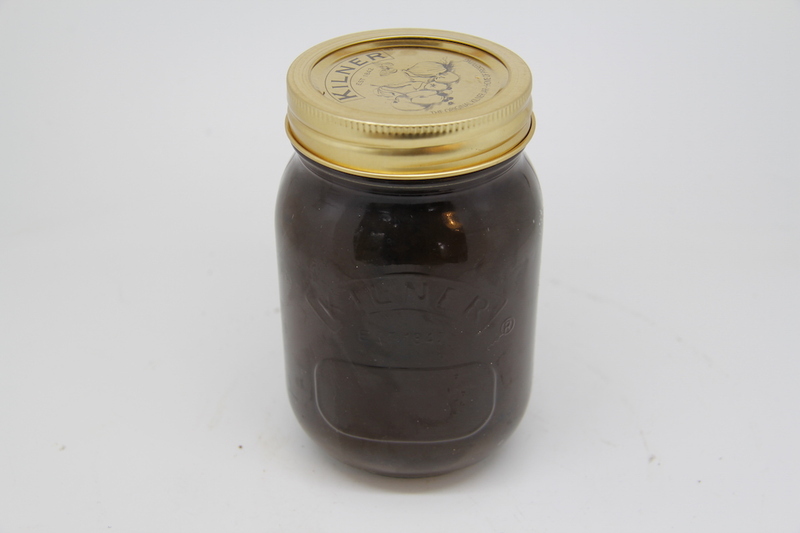 Pack the walnuts into jars. Mix the remaining ingredients together and bring to the boil, then pour over the walnuts. Seal and keep in a cool place for at least a month before you eat them. They should keep for a year. I am looking forward to trying mine in a few weeks time. You can add pickled walnuts to salads, stews, eat them with cheese – the possibilities are endless. I will include some of the recipes i use them in here once they are ready. cool. I have never heard of pickled walnuts before. What would you compare them to as in regards to taste and texture? Do you have any pictures of what they look like when they are ready to eat? Hard to say what they taste like – they are soft-ish. When these ones are ready I will post an update here or on Instagram. me too! What do they taste like? I don’t really know – definitely worth trying though.